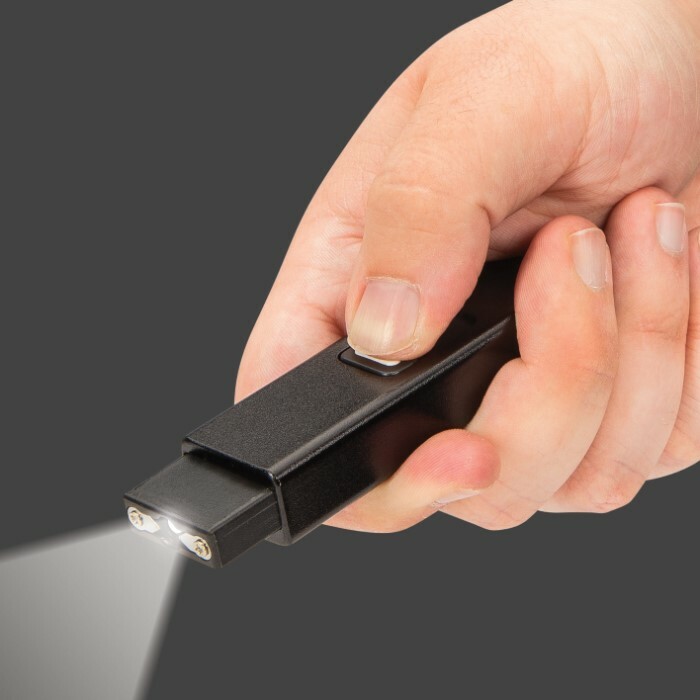 Night Watchman Mini Stun Gun - Attaches To Keys, Size Of A Pack Of Gum, LED Flashlight, Safety Switch, USB Cord | BUDK.com - Knives & Swords At The Lowest Prices! I really like this it's very small and fits nicely on my chain without being to cumbersome. 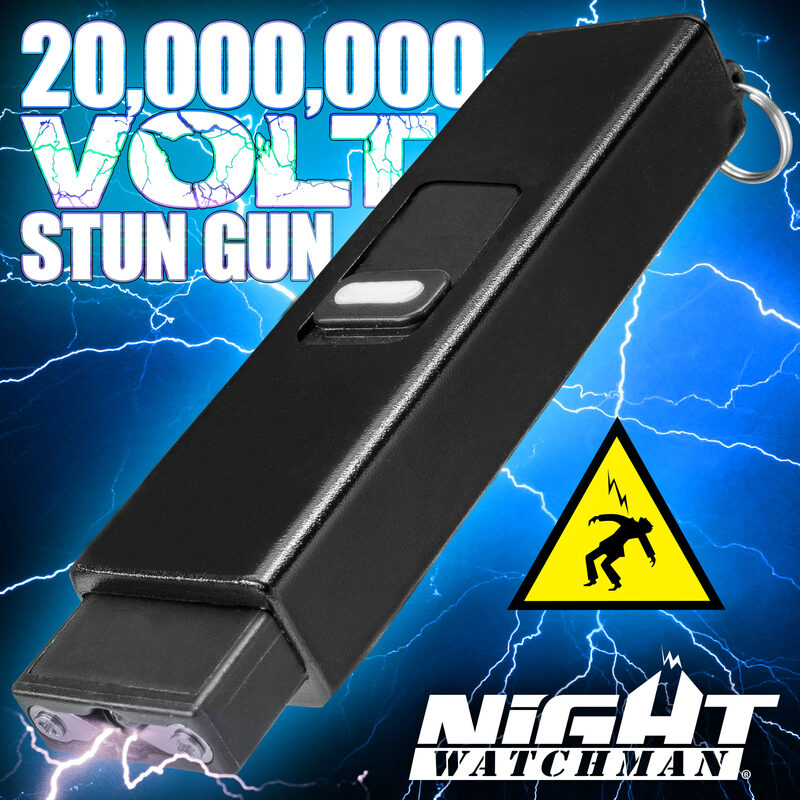 I haven't tested the stun gun yet but it's nice and loud and durable I've dropped it a couple times from about 3-4 feet onto concrete and it still works just fine. 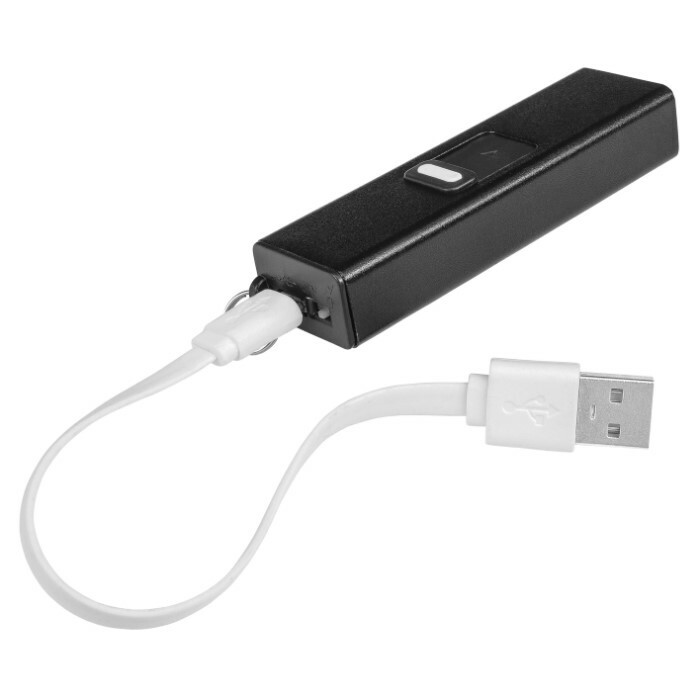 Also it's easy to charge just connect it to a mini USB and it charges really quick. The flashlight isn't the brightest but that's not what I bought it for. I just ordered a second one for my wife and plan on ordering a few more. I'm really happy with this product and highly recommend it. Bought a couple of these for Christmas Gifts, but I had to get one out to Check It Out! 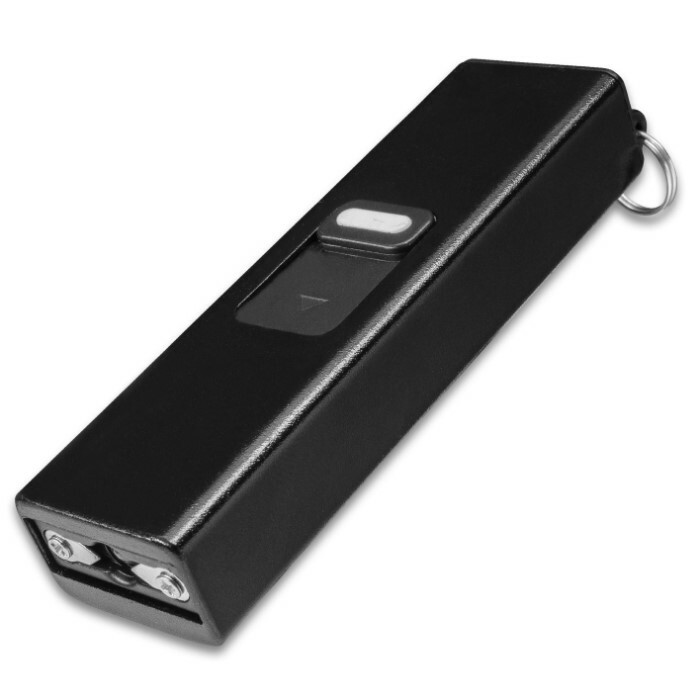 It comes out of the box with a Low Charge so you can Test it. I hooked up the USB cable to my computer, the little Red Light came on and it Fully Charged in about 45 minutes! 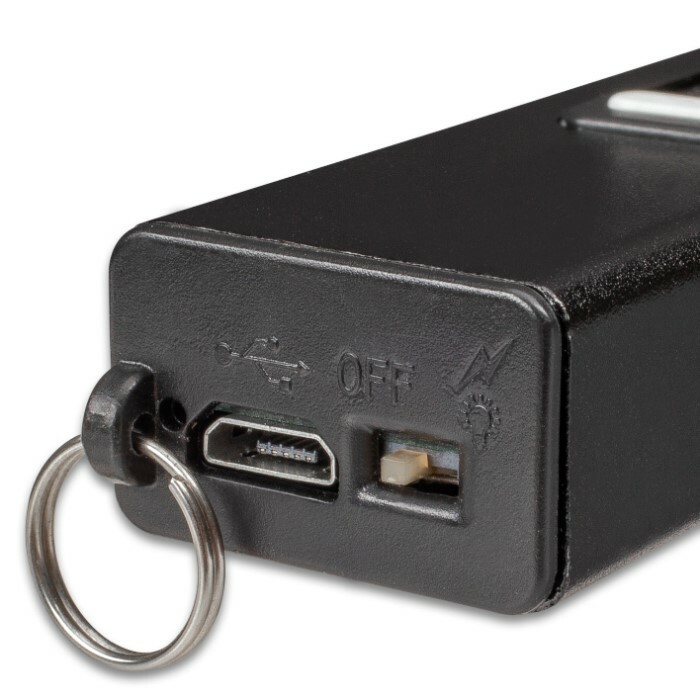 It was a little cumbersome to attach the USB cable to the unit because the Key Ring is right next to the plug, but manageable. Not the brightest light, but Bright Enough for what it's Meant For, using keys and finding locks in the dark. And the Stun Feature Really makes a Loud Pop once activated! Just the Sound Alone is Quite Alarming! Seems Very Durably Made and Feels Great in the Hand. 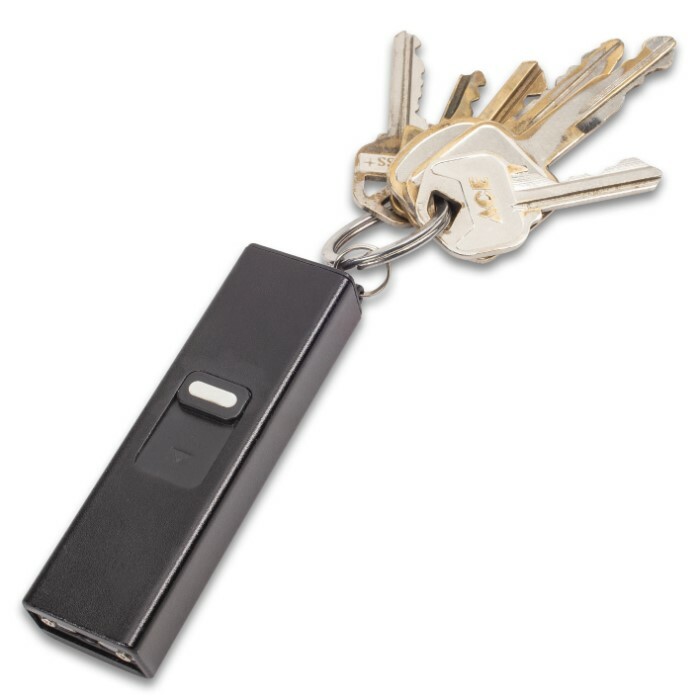 Another Great Product from BUDK! I'll be Buying More once they're Re-Stocked!